First, the Court rejected Frenkel’s argument that the district court erred when it barred Frenkel from offering evidence that Citigroup was negligent when it loaned money in support of the shopping mall transaction. A victim’s negligence does not negate any of the elements required for a wire fraud conviction. The Court also reminded the reader that the elements of wire fraud are distinct from those involved in common law fraud, and does not involve such elements as justifiable reliance or damages. Third, the Court affirmed the district court’s determination of loss amount under U.S.S.G. Section 2B1.1. Frankel argued that the $70 million loss sustained by Citigroup should be reduced because the collapse in the real estate market was a significant contributing factor in the loss amount. 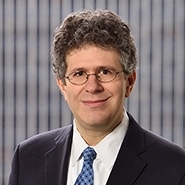 The Court stated that Frankel should have reasonably anticipated the declining market conditions, but also held that “an unforeseeable decline in the value of collateral is not relevant to calculating loss under [Section] 2B1.1 of the Guidelines,” citing United States v. Turk, 626 F.3d 743, 749 (2d Cir. 2010). The third issue—the calculating of loss amount in mortgage crisis era cases—is particularly interesting to those who practice in this area. The Court showed little patience with the argument made by a wrongdoer that the financial crisis is really to blame and instead ruled that those who engaged in fraudulent behavior should be held responsible for the full extent of their wrongs. The Court seemed to believe that a contrary ruling would permit an evasion of personal responsibility for fraud and therefore rejected this argument.